The FBI Story is a 1959 American drama starring Jimmy Stewart. It’s an excellent film, but not the topic of this blog post. The FBI Story is also the title of the Federal Bureau of Investigation’s annual summary of crime fighting operations and investigations. The FBI was founded on July 26, 1908. Over the course of its long history, a lot has happened under the Bureau’s law enforcement and intelligence purview—plenty to fill pages with. The latest progress report, The FBI Story 2015, is now available through GPO. 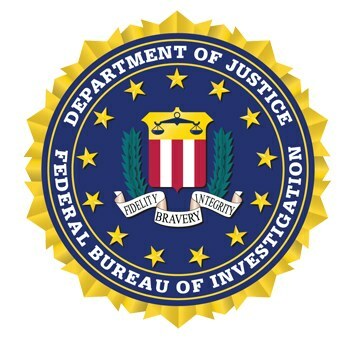 Securing America against threats of transnational cyber-crime syndicates, human trafficking operations, violent street gangs, international corruption, and terrorism is the work of the FBI. As director James Comey writes in his introduction, each year “the threats we face are moving faster and becoming harder to anticipate and stop.” Capable bureau employees work hard at adapting to ever evolving dangers. Many of their successes and as Comey notes, “some of the Bureau’s unique capabilities,” are featured in this latest edition. 2015 was year full of scheming. The indictment of FIFA (the governing body of international soccer) officials on charges of racketeering, wire fraud, and money laundering was arguably the most high-profile case. FBI agents also played a role in dismantling multimillion-dollar schemes of the Ponzi and foreign corruption variety. Fraud takedown. Cold case investigation. Quest for victim justice. Locating perpetrators of smash and grab robberies. Conversation surrounding law enforcement and race. Nationwide appeal to help find missing children. The FBI Story 2015 is all that. It’s a rundown of the important work of FBI agents do on behalf of the American people. And it’s also a reminder that the FBI works best with the full trust and cooperation of the American people. This entry was posted on Friday, July 22nd, 2016 at 5:10 pm and is filed under Department of Justice, Federal Bureau of Investigation, Law Enforcement. You can follow any responses to this entry through the RSS 2.0 feed. You can leave a response, or trackback from your own site.